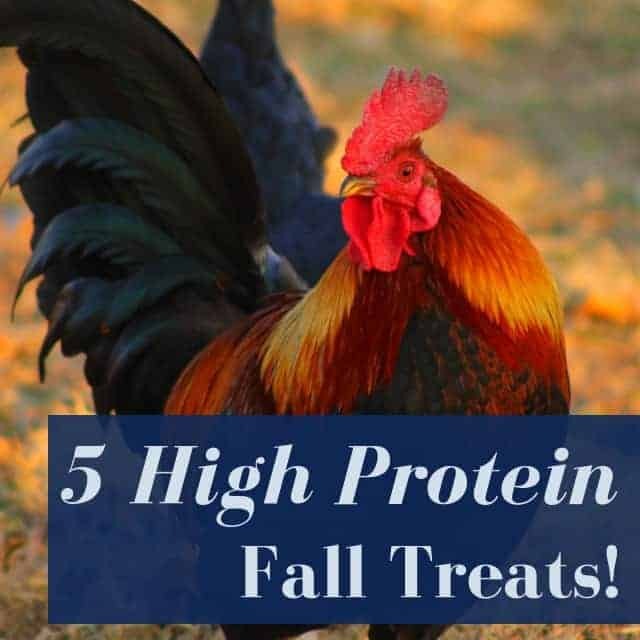 As the days get shorter, and your backyard chickens begin to molt, you might want to supplement their diet with high protein treats. And luckily, there’s lots of options! Molting is a normal process in the fall – it’s when chickens start losing their feathers to regrow new ones. To get them into great shape, decrease boredom, and give them extra calories as the cold sets in, you can supplement their diet with extra high-protein treats. And you might even have some on hand! Here’s 5 high protein treats backyard chickens (and ducks!) LOVE – and they’re great for fall! Yep, you can feed chickens eggs. No, it’s not weird and it’s not cannibalism. In nature, they go for them (it IS protein, after all). When they’re bored, they go for them. And unless there’s a chicken IN the eggs (which there isn’t without incubation), it’s definitely not a case of chickens eating their brethren. Eggs are also a GREAT source of protein (and the shells are a perfect source of calcium for your chickens). You can scramble the eggs, cook them over easy, or hard boil them. It doesn’t matter – your flock will be clucking happy to eat them! When cooked, eggs are less likely to turn your backyard chickens into egg eaters. You can also mix them with any of the other treats on this list. If eggs aren’t your flock’s thing, then you can try black soldier fly larvae. You can buy them dried right here or you can create your own farm – they’re remarkably easy to farm, and they’ll live in anything. (Recently, we discovered a BSFL farm in my truck bed, where some grain had spilled. Totally disgusting and proof they’ll hatch anywhere. We had NO idea they established residence until some torrential downpours caused them to jump ship. Let’s just say the hens were VERY happy for a few days). 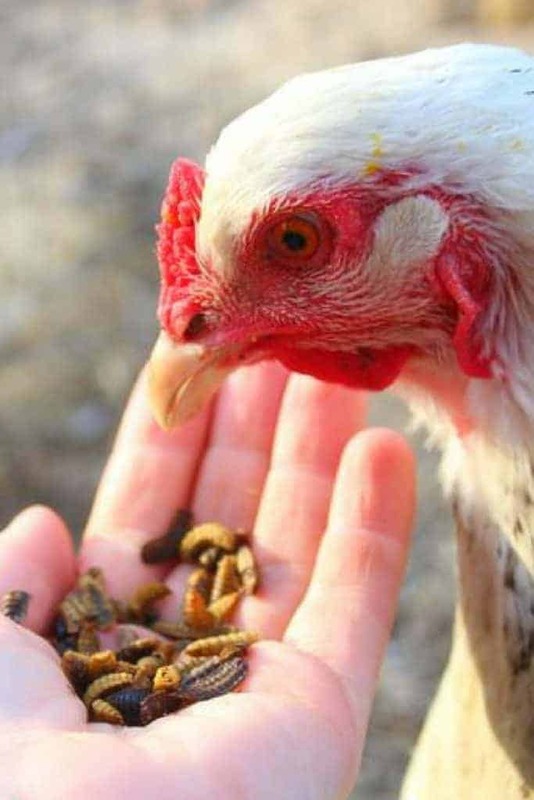 If farming black soldier fly larvae isn’t your deal, then you can always go with dried ones – hens love them either way! Black soldier fly larvae are about 40% protein. It’s not something you typically associate with protein, but brewer’s and nutritional yeast is FULL of protein – they’re both about 40% protein. You can mix brewer’s yeast with your flock’s regular feed, or with a special treat you’ve created for them (such as the eggs or black soldier fly larvae above). It’s probably best to mix it with something else. It’s full of protein but also powdery – so adding it to food with texture will help your chickens enjoy their treat more. You can buy it in our store here, and it’s mixed with garlic, oregano, and echinacea – all herbs traditionally used to support healthy immune systems in chickens. 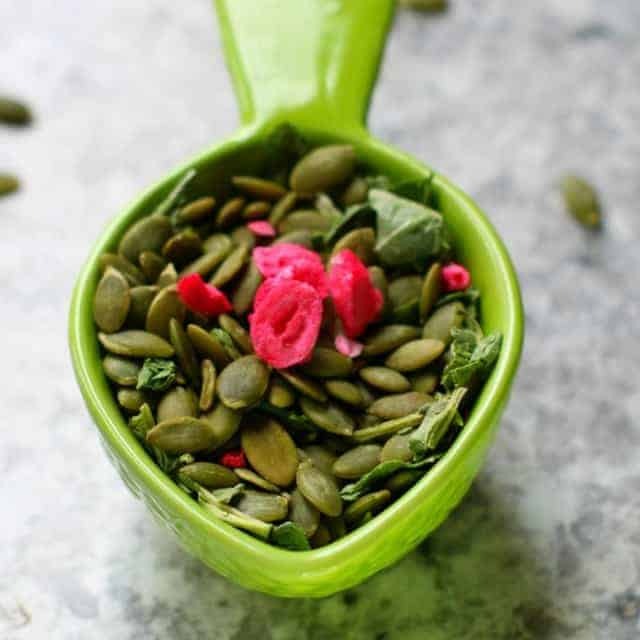 Pumpkin seeds are also full of protein – and hens LOOOOOVVVEEE them! You might have heard that pumpkin seeds can help prevent and expel worms. While the jury is still out on that, the bottom line is that chickens love snacking on them. And pumpkin itself is full of vitamins and minerals to help your backyard chickens stay healthy! So, the seeds definitely can’t hurt, and they just might help! Just be sure to offer smaller seeds to they’re easy for your chickens to swallow and digest. You can mix pumpkin seeds with herbs – consider chili and paprika. Chili has been shown in studies to help expel worms (the parasites object to the spiciness) and paprika can help with turning yolks that gorgeous golden color we’re all looking for! Sunflower seeds are another high protein treat for fall. Any type of sunflower seed will work, but black oil sunflower seeds seem to get backyard chickens clucking more than other ones. Like pumpkin seeds, you can mix them with herbs like garlic, or even the brewer’s yeast we mentioned above. A third option is to mix them with gelatin and mold the entire mixture into shapes. You can then hang the treat in their coop and watch them go nuts! If your flock isn’t sure what to do with the sunflower seeds, consider mixing them with red berries, such as strawberries. The red color will attract your backyard chickens, and they’ll naturally peck to see what it’s all about! From there, they’ll start to understand the seeds are a treat! This is excellent information–thanks for your posts! Do the seeds (sunflower or pumpkin) have to be shelled, or can the hens manage that on their own? Thank you, I’ve been trying to figure out what else to give my girls for extra protein, I’ll mix it with their yogurt and egg shell mixture that I give them, it will be an added treat!